Are You Currently Using an Online Bookkeeping System? Let Safe Harbor custom-tailor a financial management system just for you. You’re never be burdened by unwanted features. 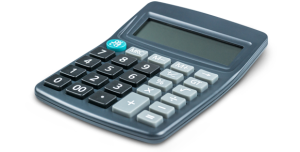 This will make your bookkeeping easier to use and manage. There will be no software upgrades for in-house accounting system. That’s one less burden you have to deal with. Never worry about losing your crucial accounting data. The system uses one of the most sophisticated security systems available today – 128-bit SSL, the same encryption protocol that banks and other financial institutions rely on. By investing just a little time at the start, you’ll save a lot of time later, and help yourself manage your business finances more efficiently than ever. And if you have any questions, you’ll receive the same timely and courteous personal support from our firm as you always have.